It’s women in horror month at HH, and there’s none scarier than the woman in black. Forget Misery, Carrie, etc. cause she outscares them all, and the movie about her was remade in 2012 in a big budget blockbuster way starring Harry Potter (Daniel Radcliffe) that I’ll review next, but first let me get down to the real nitty gritty 1989 original of what’s also a theatre play in the UK where the woman moves among the audience for shock value. 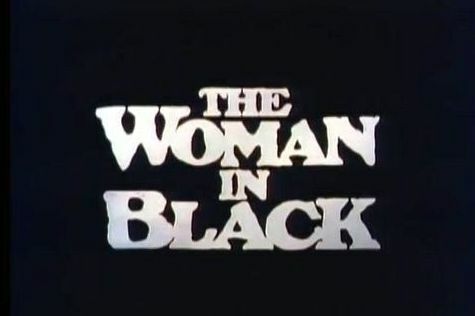 I bring you the Woman In Black. Watch it, and read this review. If you dare. 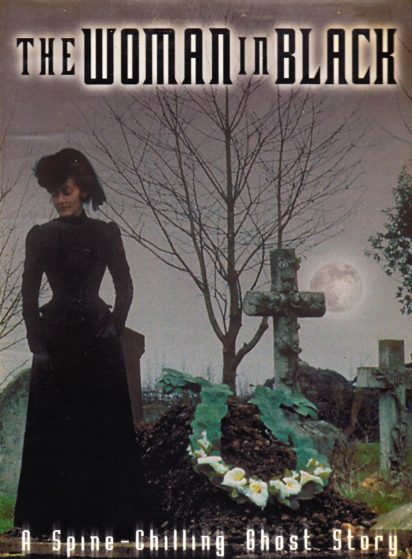 A troubled widow always dressed in black who lived in a secluded mansion in the british countryside, dies, and solicitor Arthur Kidd (Adrian Rawlins) goes there to settle the widow’s estate on assignment from his firm. He’s a young, up, and coming solicitor in need of money, and thus gets the dubious pleasure of the assignment nobody else wants for reasons we are gonna find out the hard way during this movie. Once there, strange goings on starts happening right away, and they keep escalating the longer he stays. 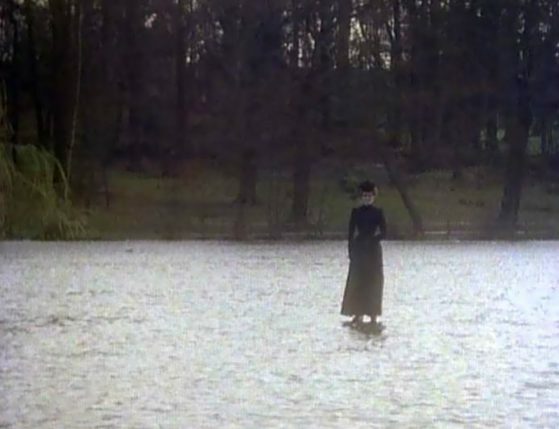 A strange woman dressed in black, played excellently by Pauline Moran of Poirot fame, appears often, out of nowhere. Who is she? What does she want? Is she even alive, or a ghost? This one’s easily among the top 5 scariest ghost movies of all time. The woman in black is menacing, and horrifying. If hauntings, and ghosts scare you, you’d probably be better off not watching this one as it’s likely to leave you with plenty sleepless nights. At best. The woman is present, in most shots of the film, just like Michael was in the original Halloween, and also similar, she’s kept subtle, in the background for a while, and then she strikes so hard it’s something to tell your loved ones about, or more likely you’ll be cuddling up to them as close as you can, for days, or weeks, out of agonizing fear. 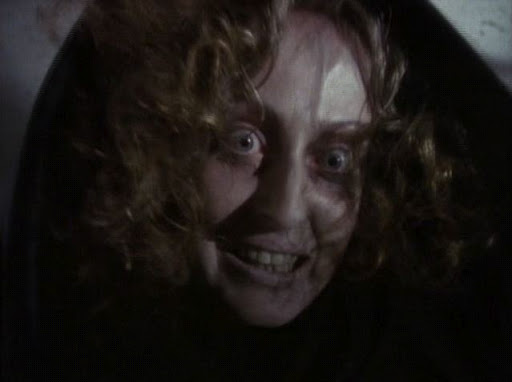 It is after all an 80’s made for tv movie from the UK, so it’s age, style, and low budget, shows, meaning if you need loud jump scares, that can be found overdone in most recent horror flicks, to scare you, then this probably won’t. Not a film for modern audiences as it will seem too different, and slow paced for them, but one for the classic ghost story connoisseurs. That’s a good thing in my opinion, but different strokes for different folks. 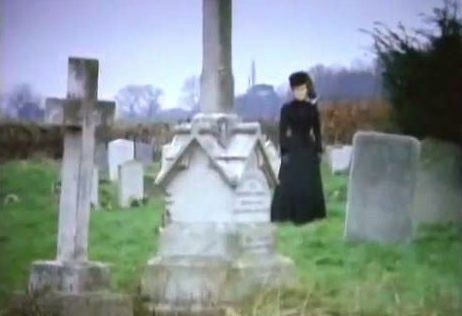 Part of the ghost story for christmas series back in the day in the UK where they used to air a ghost movie every year the night before christmas, and this is a gift for fans of classic ghost stories. 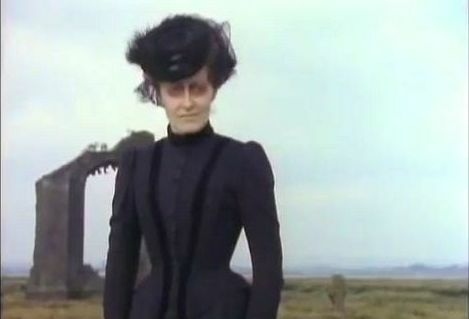 It’s incredibly scary, the woman in black is evil, and wreaks havoc without a care in the world as she seeks revenge, and doesn’t care who she takes her anger out on. Come to think of it, she could be coming for YOU next!